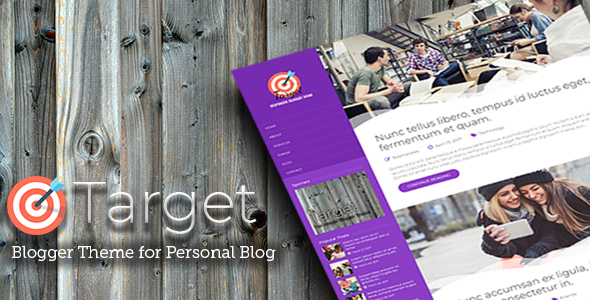 Description: Target - Responsive Blogger Templates is a clean, modern blog theme for Blogger / blogspot. This Blogger Theme is suited for all kind personal blogs, food bloggers, affiliate marketers, . It’s built with some of the best frames as is Bootstrap 4, jQuery, etc… This theme is the best choise even for personal or professional websites.